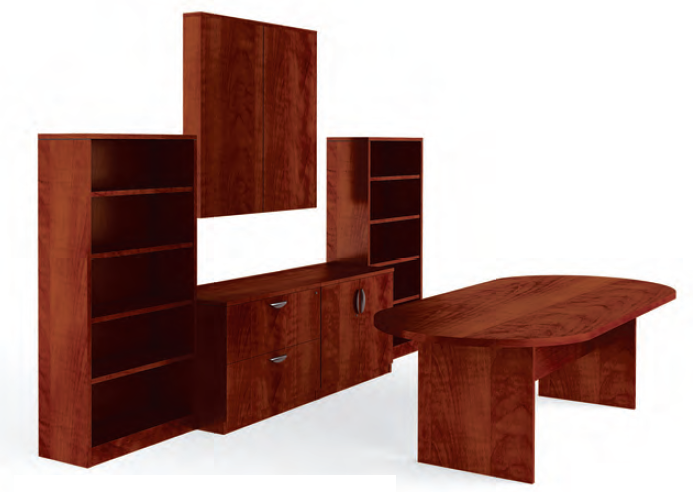 Contemporary components complement multiple casegoods collections. 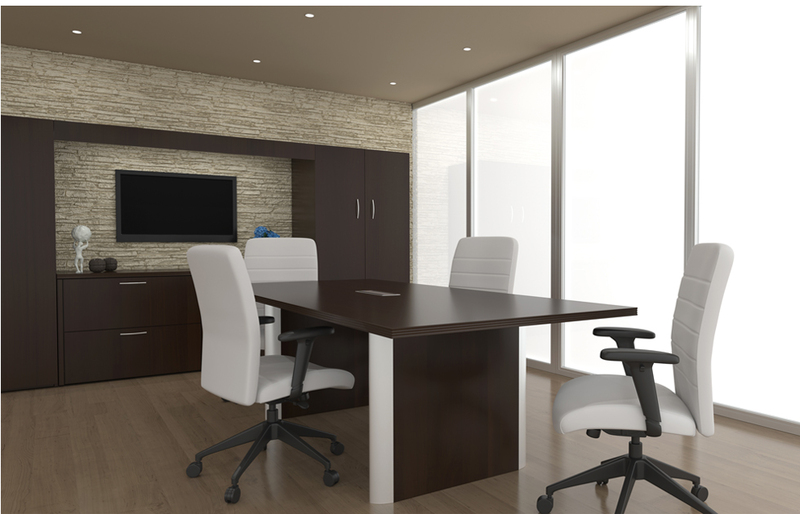 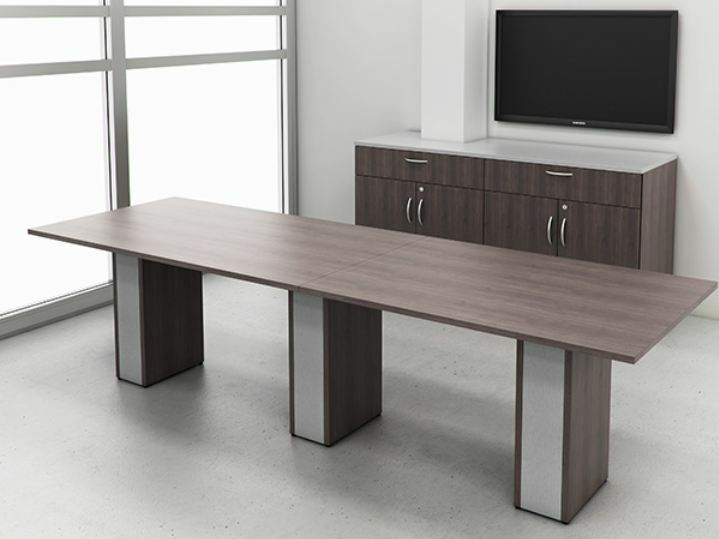 Add technology function with wall units that include AV Cabinets and valance with optional pull down projection screen. 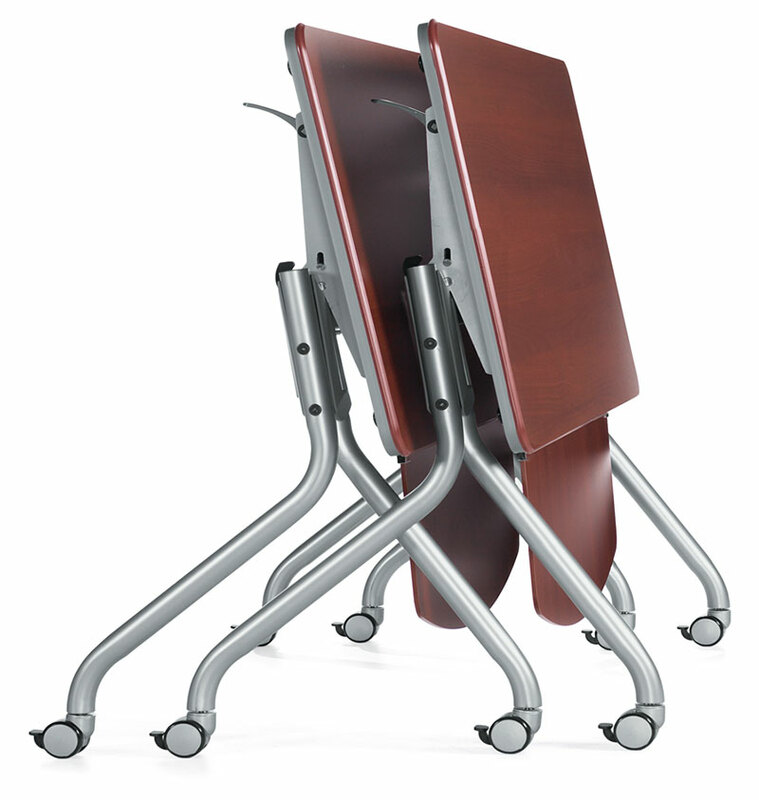 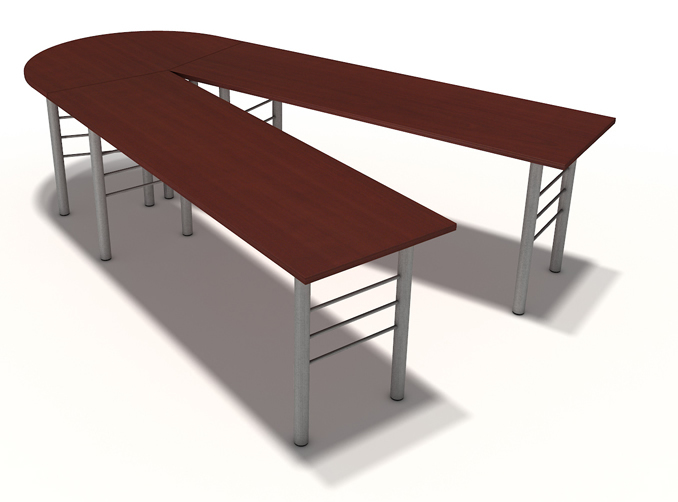 For easy table-to-floor connectivity combine a table top power center with a cylinder or half-cylinder base with hinged wire access door. 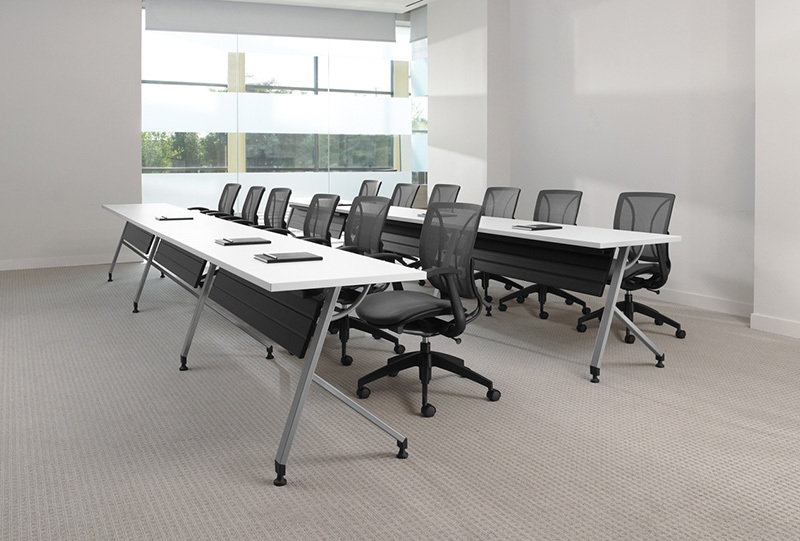 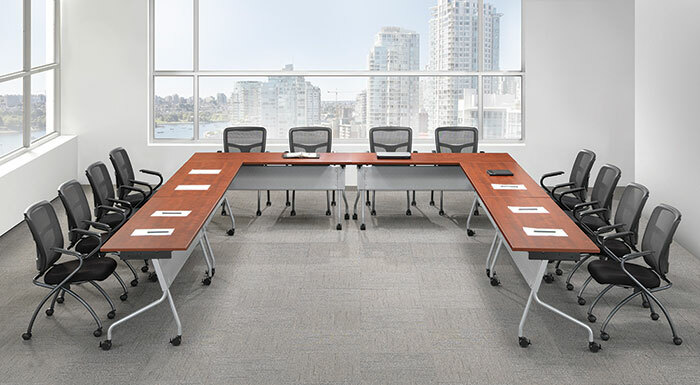 Elements Conference collection offers 20 different finish options as well as a multitude of sizes and styles along with superb quality. 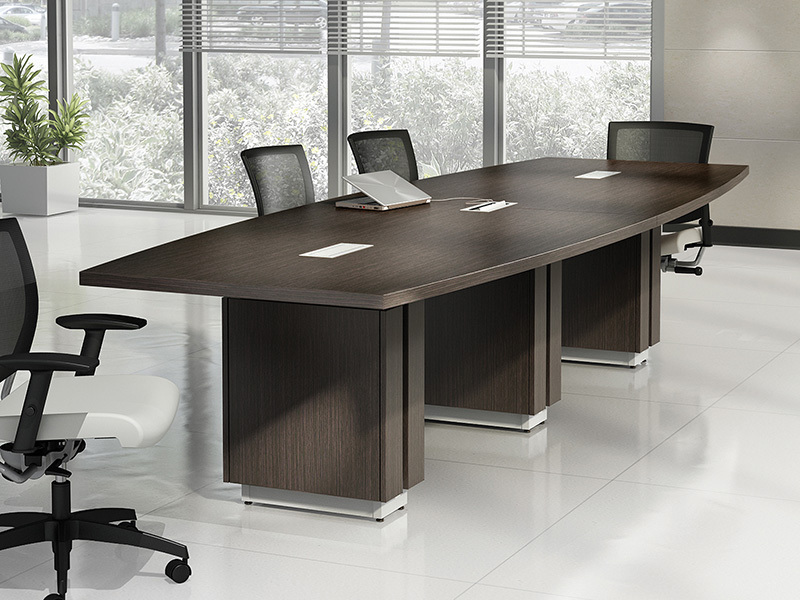 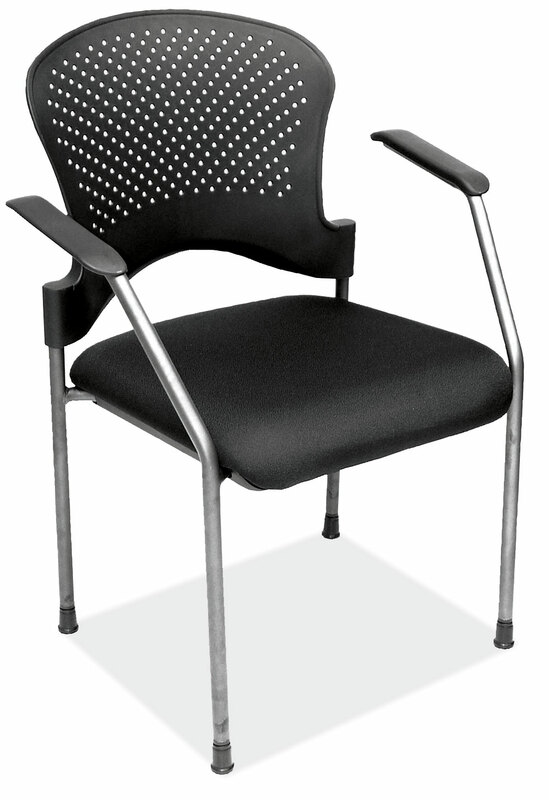 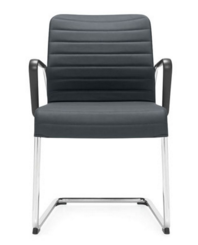 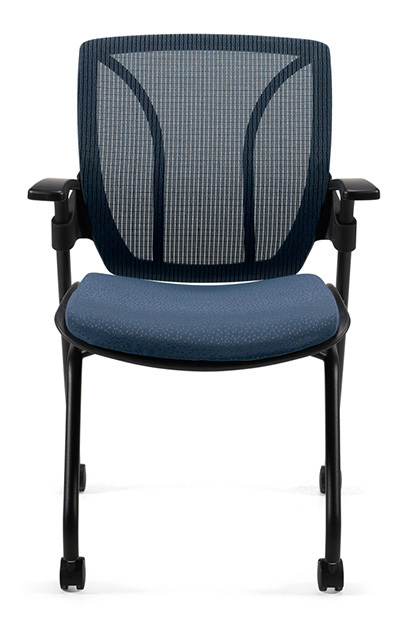 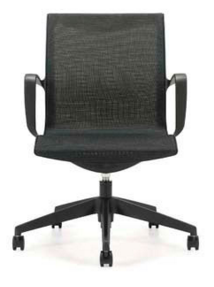 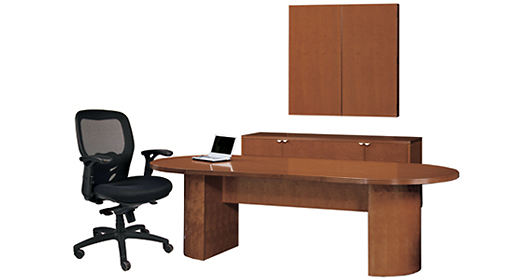 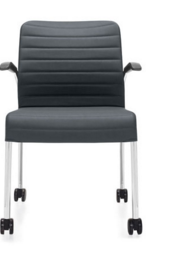 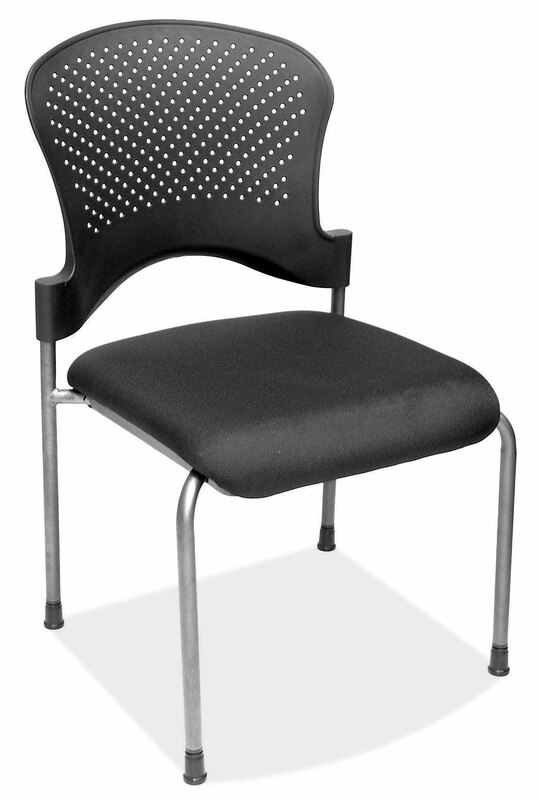 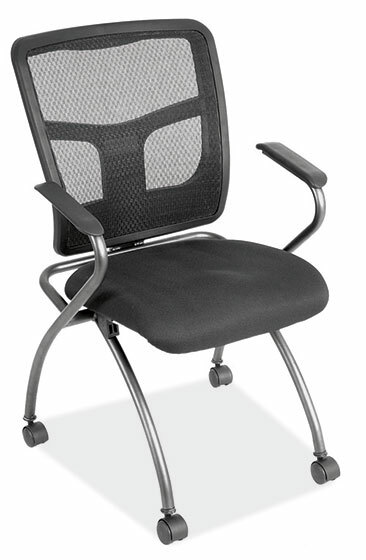 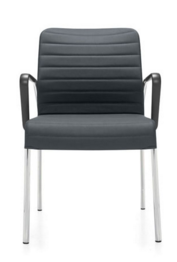 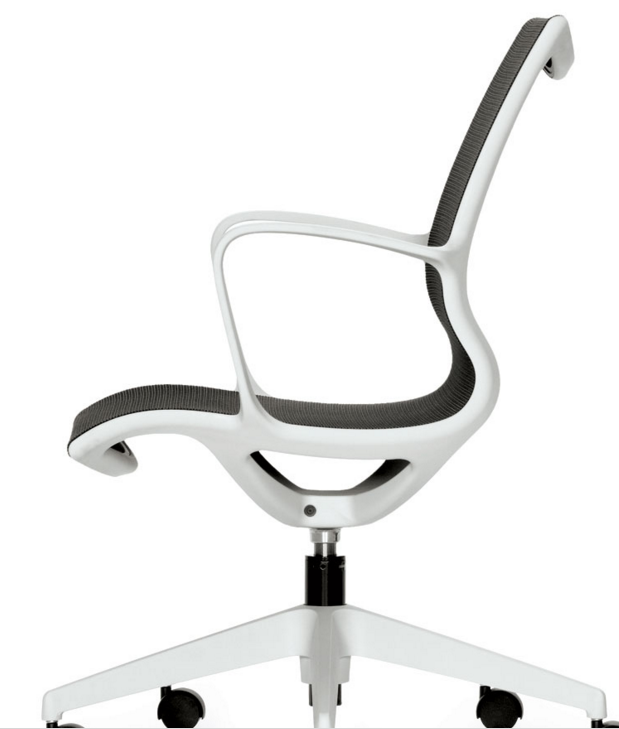 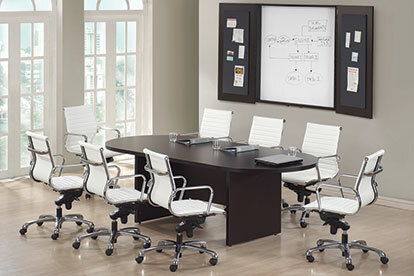 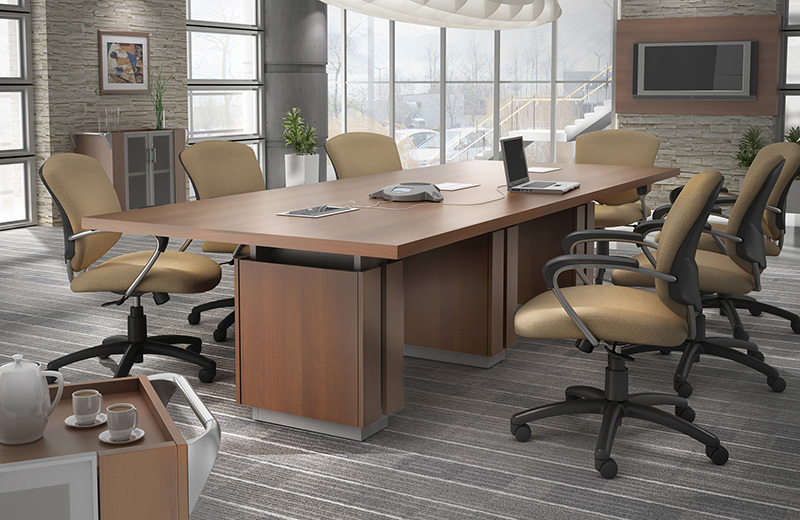 Napoli conference collection features elegant lines with excellent durability. 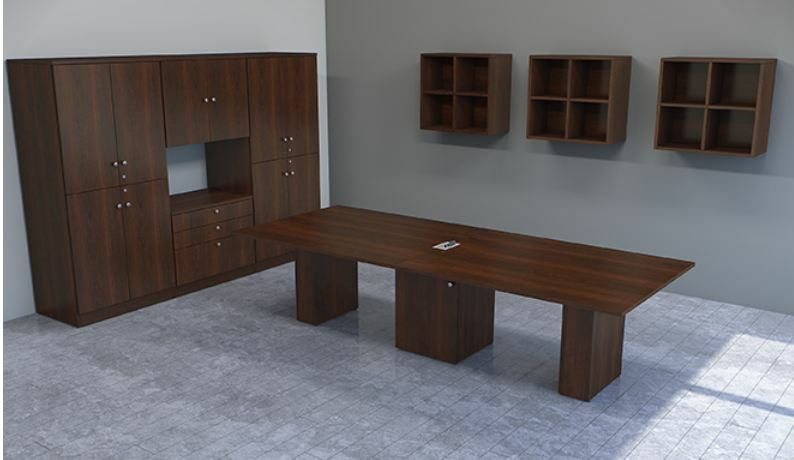 Available in three finishes: Sierra Cherry finish on Cherry veneer, Mahogany finish on walnut veneer and Golden Cherry finish on beech veneer. 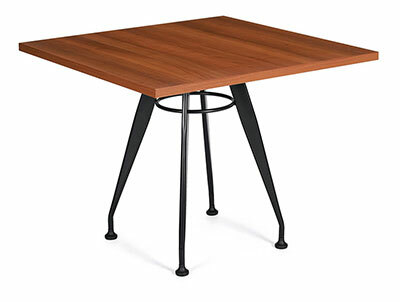 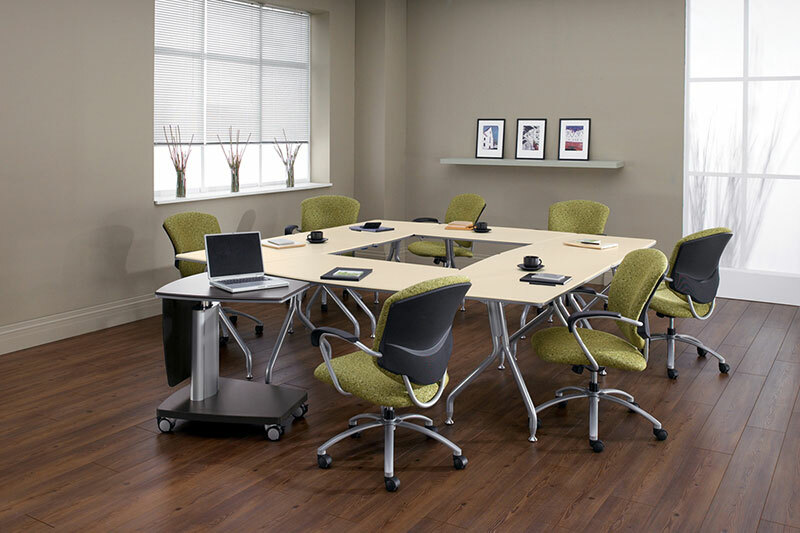 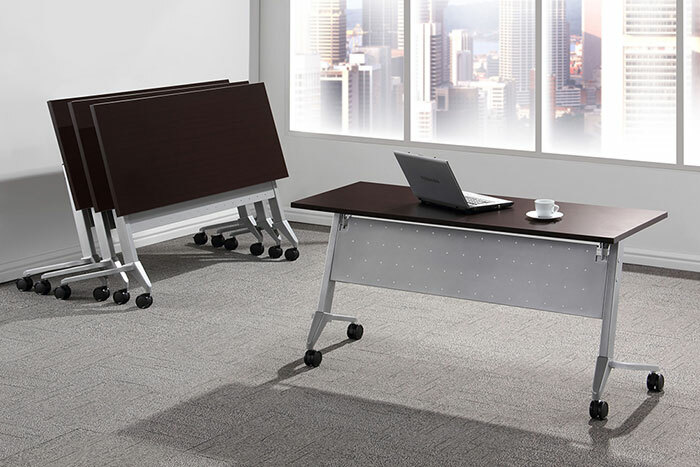 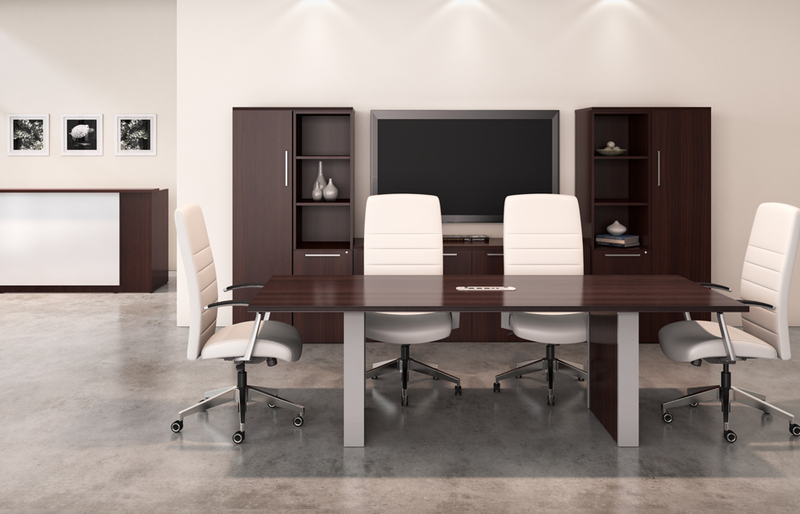 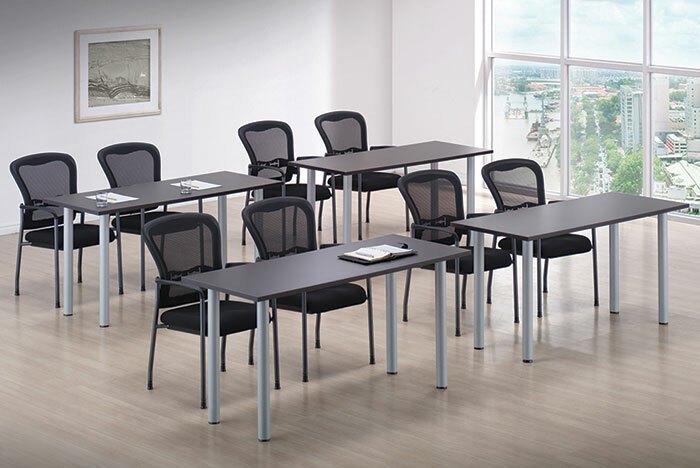 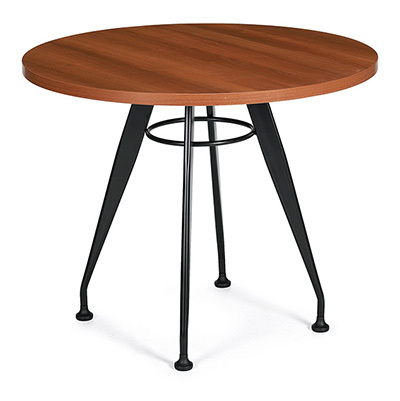 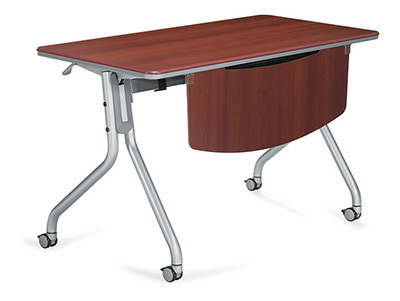 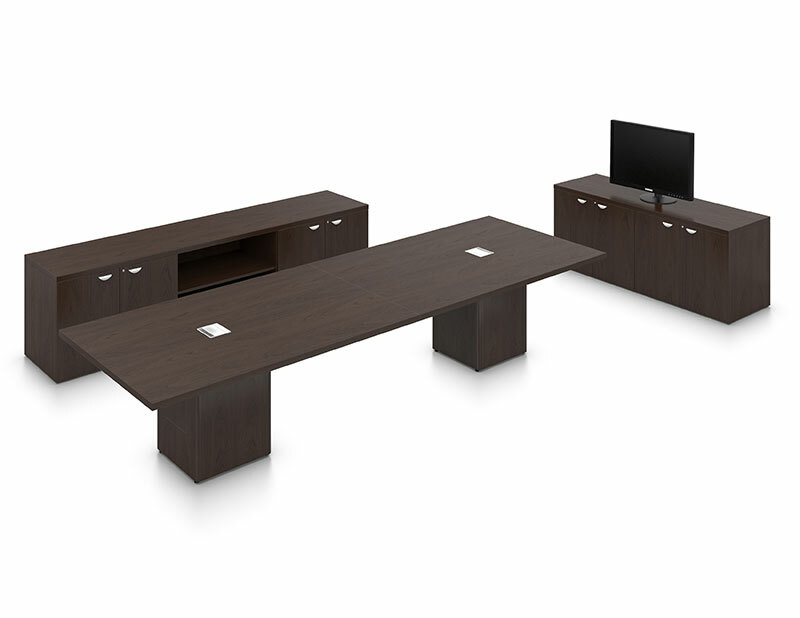 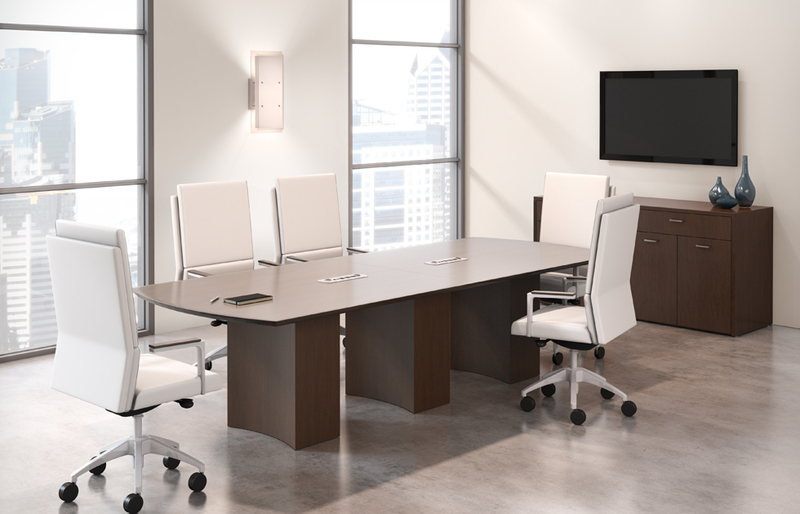 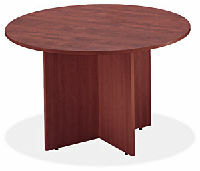 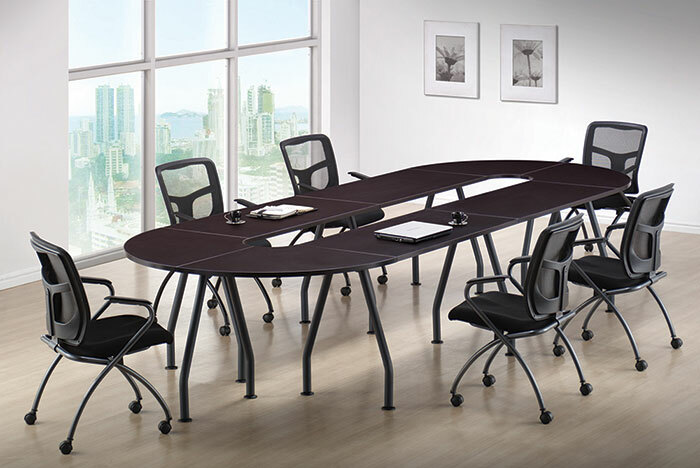 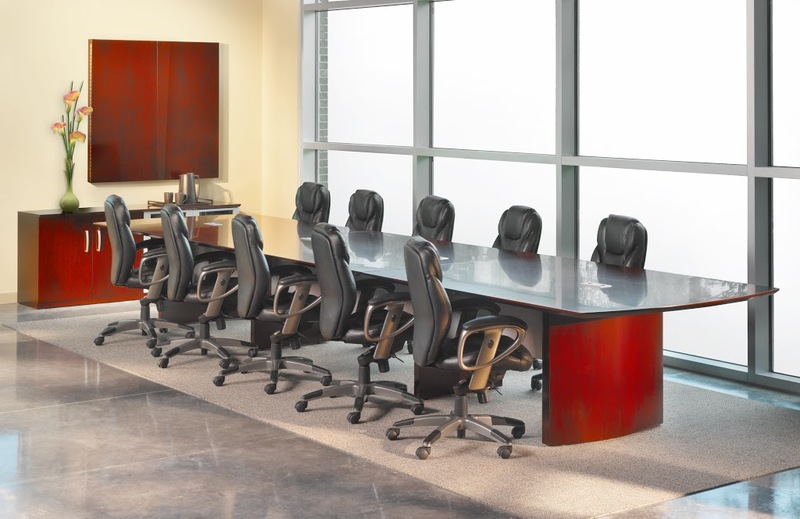 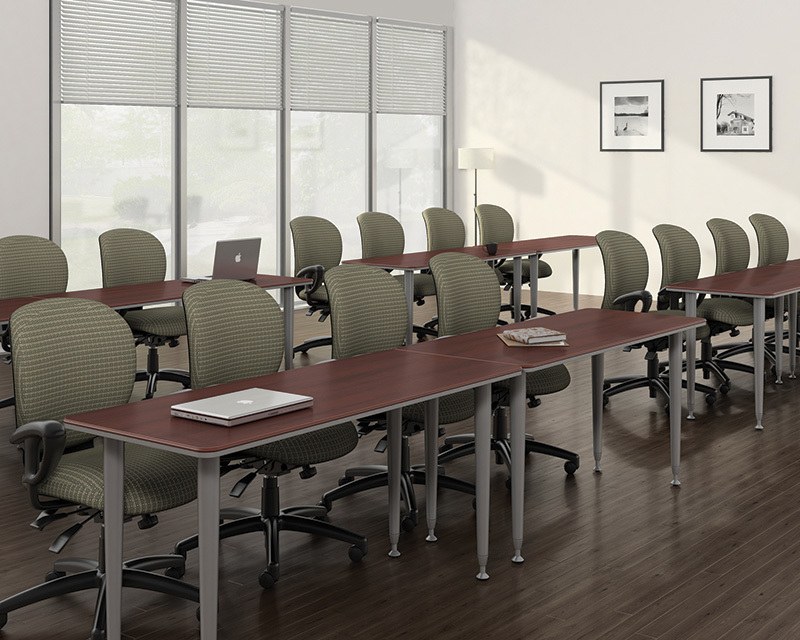 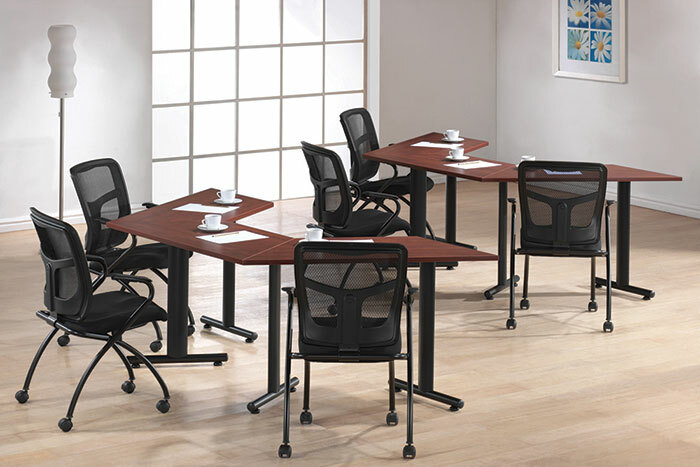 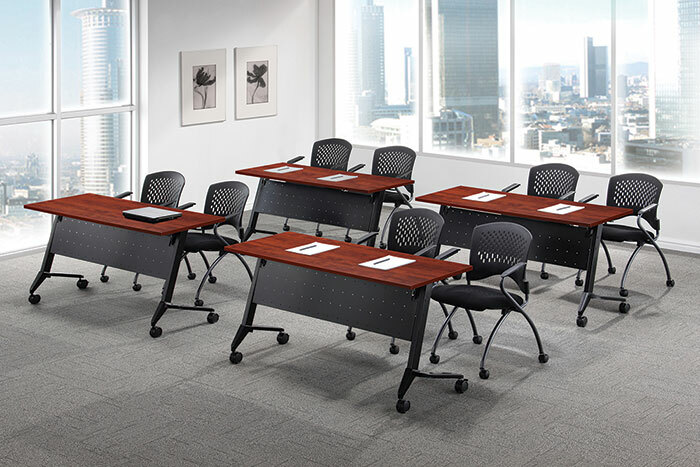 Valuebiz series laminate racetrack, round, or boat shaped style conference tables available in 5 finishes: Espresso, Cherry, Honey, Modern Walnut, and Mahogany. 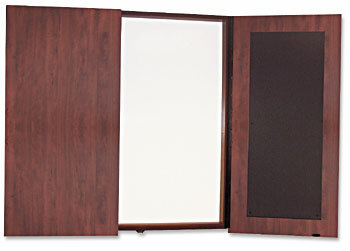 Matching Presentation boards also available! 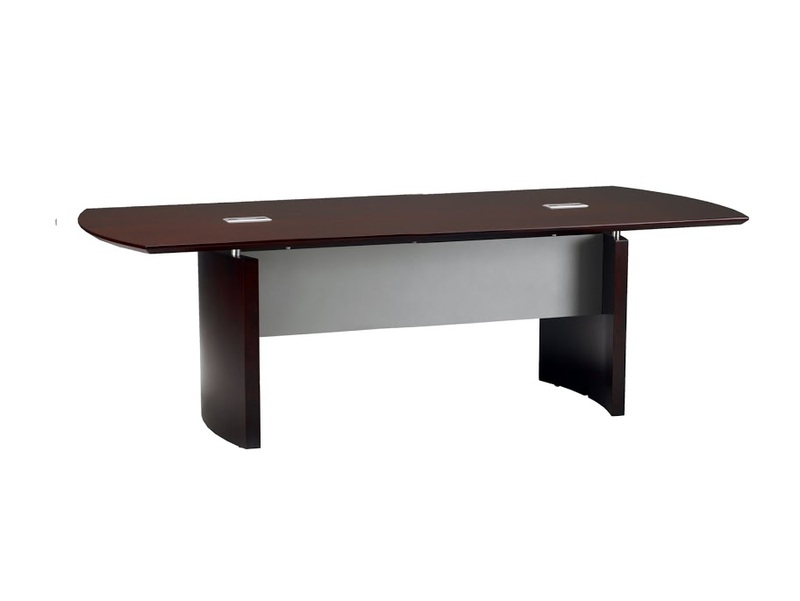 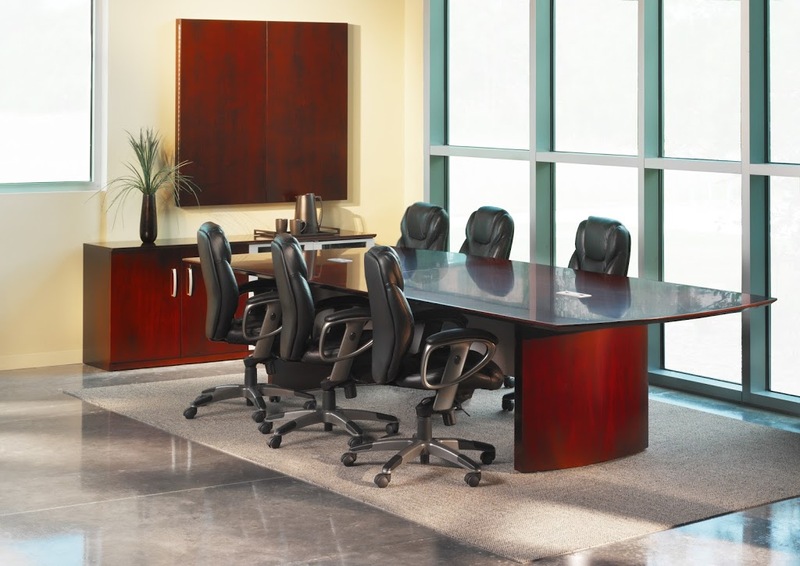 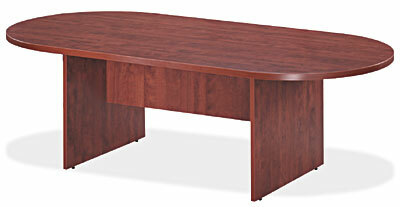 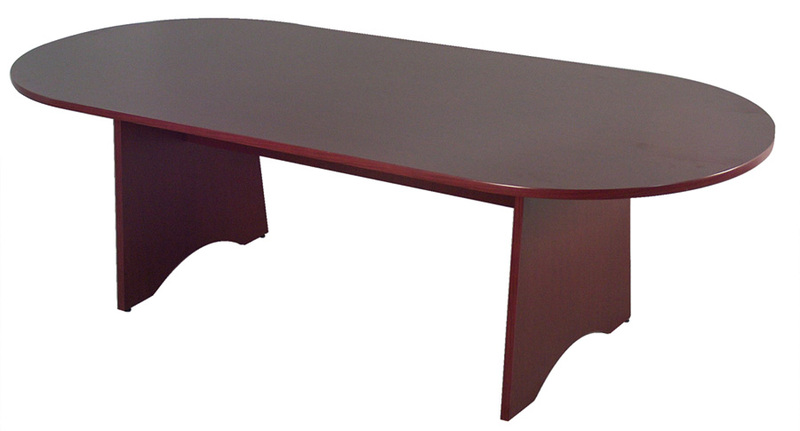 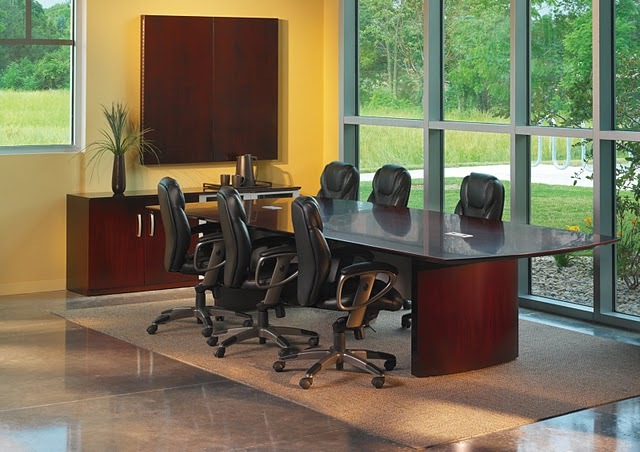 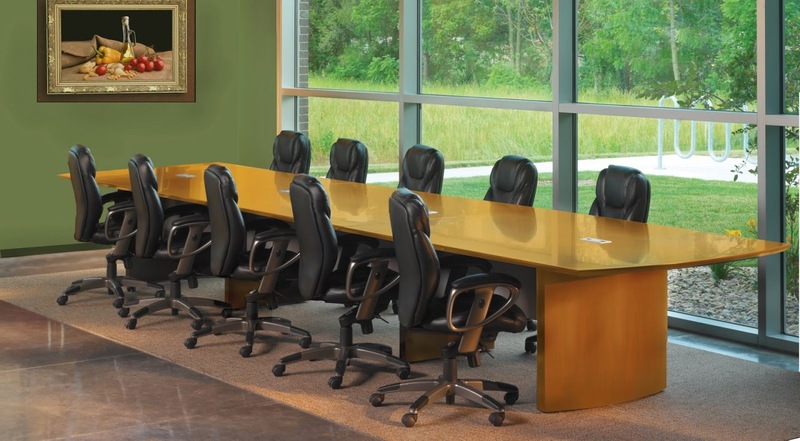 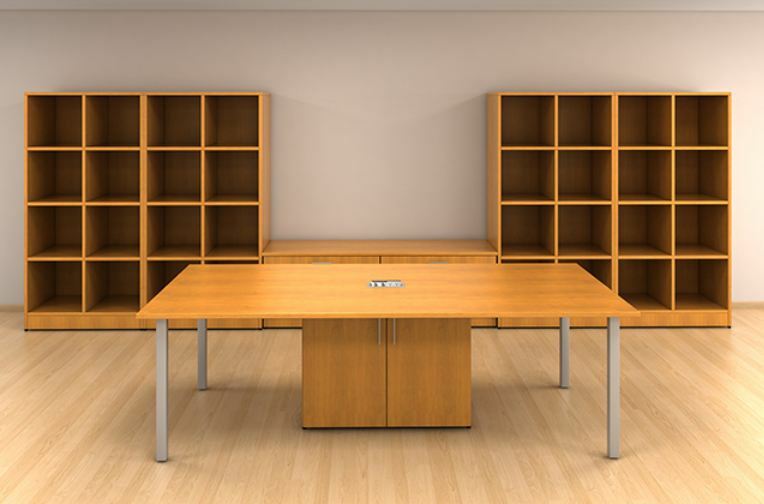 1.5″ thick boardroom table tops with choice of 4 top shapes: Boat Shaped, Bow End, Rectangular and Racetrack, offered in 96″, 120″ and 144″ lengths.